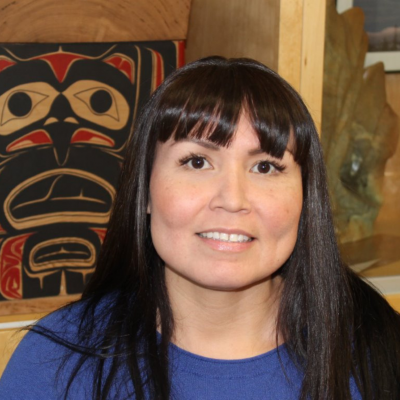 Crystal Smith has been involved with Haisla Nation Council for 12 years, starting as Executive Assistant to Chief and Council from 2009 to 2013, and was officially elected as Chief Councillor in 2017, after being appoint interim-Chief Councillor in 2016. She holds business certificates from Northwest Community College and Thompson Rivers University. She advocates for Haisla Nation-owned joint venture partnerships which allows for participation in major projects in Haisla territory. Using those opportunities provides a doorway for members to find rewarding work and educational opportunities to enhance their skills. Ultimately, she wants the work done today by her and all of the Council to pay off not just for today’s Haisla, but future generations as well.